It’s hard to find the best Android games because holy hell is there a ton of stuff on the Google Play Store. Picking the best games requires detective work, sweat, perseverance and total… no, wait: here’s the best stuff. We did it for you. This list is a healthy mix of free to play games – with optional in-app purchases mentioned where appropriate – as well as paid apps that deserve your eyes and thumbs. 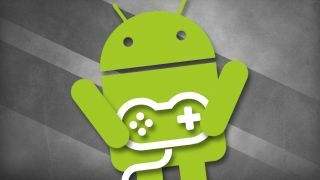 So from vault simulators to cat collectors and in depth adventures, here are the best Android games to get your screen smudgy. If you’re going to build a boat, you may as well go all out. You Must Build a Boat starts you out in a dinky dinghy with only a skeleton and a zombie as your crewmates – but eventually, you’ll be the captain of your own magnificent cruiser. Like original game 10000000 before it, this is a fast-paced match three puzzler that has you shifting entire rows and columns instead of individual tiles. But you don’t have all day, because your explorer is plowing through a simplistic 2D dungeon at the top of the screen; you’ll have to fiendishly line up combos to help him persevere against a wide variety of monsters (which you can eventually recruit to your ship’s crew). Don’t worry, you won’t want to walk the plank. We’ve given Machinarium high praise in the past, even calling it one of the best steampunk games ever, and we stand by those commendations. In addition to a responsive and smooth touch interface that makes its point-and-click setup work flawlessly, Machinarium’s grungy and unforgiving world gives you an immediate sense of place. Just by looking at this harsh yet beautiful environment, you feel for its little robot protagonist, lost in this wasteland and searching for his lady-robot love. This is the sort of game that pulls you in and makes you want to don your gear-trimmed top hat. Incredible work from Amanita Designs. Also, you will get very, very stuck. On paper, Super Hexagon sounds simple enough: your goal is to safely navigate your cursor through a tunnel of shapes (such as, oh I dunno, hexagons). Each shape has a gap in it somewhere, and by moving your cursor into that gap, you’ll successfully avoid being instantly annihilated, free to continue enjoying the rockin’ techno soundtrack. But things start flying off the rails almost instantly. The screen shifts and tilts all over the place, colors change erratically, and the shapes start flying at you faster and faster. It’s ‘one more go’ on crack. Beware. It’s spawned endless sequels, clones and even a first person shooter but the original PopCap tower defence game is still as pure and perfect as it comes. If you’ve been in a undead proof vault for the last ten years, let us enlighten you. The zombie apocalypse is upon us, and there’s nothing to defend us from the gnashing teeth of undead jaws except… garden vegetation. That’s right: the only thing protecting you from getting your brains munched on are flowers and food plants. What begins with a front yard barricade of Peashooters and Sunflowers becomes an impenetrable force – one that’s guarded by giant Wall-nuts as your flora turrets launch flaming projectiles and devastating melons knock the heads from those hungry for brains. The undead don’t stand a chance. First off, no this is nothing like Pokémon Go. Without a yellow electric mouse in sight, Lara Croft GO is a beautiful adventure where you must brave perilous ruins to hunt down ancient artefacts. Unlike her 3D adventures though, Lara’s GO controls are all about swiping to move as you make your way through turn based traps and other death-defying risks. Beautifully designed and complete with slews of enemies to take down as well as cliffs to climb and bridges to brave, Lara Croft GO is the perfect portable Tomb Raider experience. While it’s nice to see the originals on the Google Play Store, this is a far more enjoyable way to pass some time on your public transport mode of choice. If all you’ve wanted your entire life is a cat that lives in a tiny igloo that looks like a pancake but can’t have one because of flat restrictions or an allergic other half, oh look it’s your new favourite game. Well, game is a loose term for this but if you want to open your phone to find a range of adorable felines playing with toys then Neko Atsume is the perfect cat replacement. Special cats can be enticed to your (extendable) garden and you can even have different designs of living areas to match your aesthetic. Oh, and yes you can even take pictures of your favourite furry friends in adorable positions. It’s basically the opposite of standing in cold cat sick with bare feet first thing in the morning. Not that it wasn’t brilliant already but Minecraft’s Better Together update now means that no matter what device you’re playing the blocky joy on, you can always play with exactly who you want to. In an incredible step forward for the game, Android users can build with those on iPhones or even Windows 10. As always, Minecraft is intuitive and positively infinite. Whether you want to settle down with a friend and hole up in a giant fort of your own making or recreate the entirety of Lord of the Rings Middle-earth, the choice is beautifully up to you. Crafting, building, surviving, it’s still all here and it’s better than ever before. Go play. Quite simply, Hearthstone is what happens when Blizzard makes card games. Ultra fast to learn but seriously tricksy to master, Hearthstone arms you with the heroes of World of Warcraft and pits you against deviously strategic enemies. Spells, creatures, weaponry, bonus decks, Tavern Brawls… You’ll be down the Hearthstone rabbit hole before you know it. There’s good reason that the card game has taken over the eSports world. Good luck, and remember us when you’re a championship player.